We were lucky enough to make it up to Whistler on February 27th to see, in person, the 4 Man Bobsleigh on Blackcomb at the Vancouver 2010 Sliding Centre! Click on the link below to see a bit of footage! YES, it was AWESOME!! 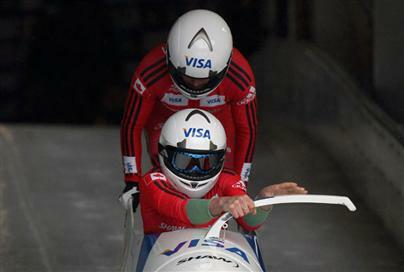 This entry was posted in Sports and tagged Bobsleigh, Vancouver 2010. Bookmark the permalink.